What Hollywood Branded does as entertainment marketing specialists, is deal expertly in the art of consumer suggestion - something which flows along the lines of both advertising and PR. But there are differences in these marketing practices. Unless you have a degree in PR, advertising, or marketing (and perhaps even if you do), the fine points of public relations and advertising versus marketing can blend together a bit. Advertising is the most in-your-face way of promoting a brand, and a practice that can be alienating, intrusive and bitterly complained about by many. Or quite frankly… just ignored, flipped through and DVR’d fast forwarded. So How Is Marketing Different? Marketing tends to be more subtle than advertising or public relations. Marketers study the way their target demographic shops, reads, watches and, in general, consumes. They then use this information to organically reach their audience. Entertainment marketing is a specific facet of marketing that focuses on reaching consumers through entertainment - specifically product placement, brand integration, celebrity endorsement, social media influencer campaigns and event activations. Our agency not only believes, but knows star-power turns heads. 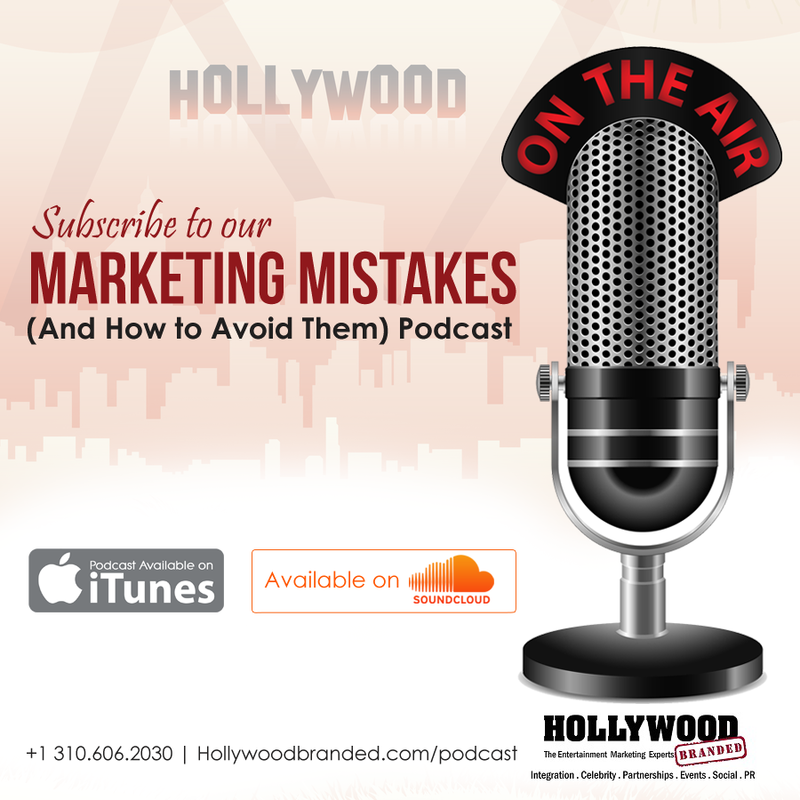 Marketers who focus on entertainment marketing in particular have extremely established relationships with the stars of Hollywood and with the people who run it behind the scenes. They are experts at creating a marketing strategy that fits the brand and feels organic to the consumer while still 'wow'-ing them with celeb power. To see your product or brand used on TV or in the hands of a celebrity? Well it quite simply validates the quality of your brand to those who consume that form of entertainment, whether the consumer realizes it or not. And 43% of consumers report actively being aware of making a purchase from seeing a brand in content they are watching! That’s a big number. That is 43 people out of 100 who may never have bought the brand if they hadn't seen the content. And that's only those who are aware of it. This power of suggestion is very important in a marketing strategy and therefore should be to brand marketers. It can completely sway the way your demographic views your brand.